A game to celebrate the animal in us all. 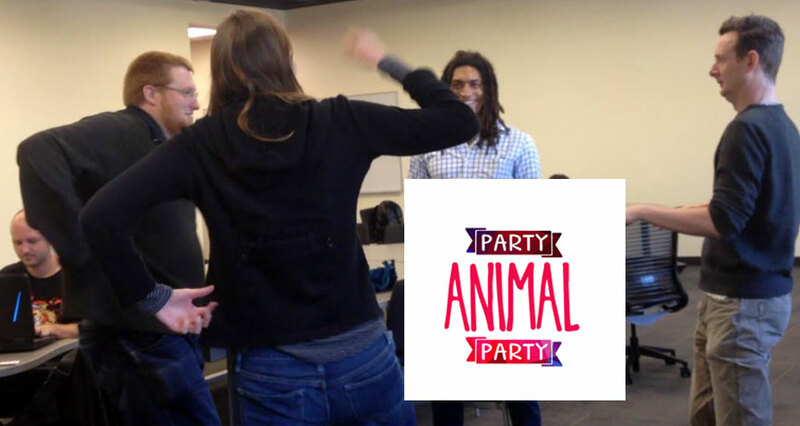 Party Animal Party is a four player card and dancing game for all ages. During each round you’ve got 5 seconds to invent a spontaneous animal inspired dance according to the card drawn by the judging player. An experience that welcomes comedy, creativity, and dance—it’s a game to celebrate the animal nature in us all. Malika Lim, Alejandro Quan-Madrid, and Rob Finney are a trio of USC Games students who harnessed their inner spirit animals to host a Party Animal Party. They want to use the game to help you find your jungle boogie 2-step.